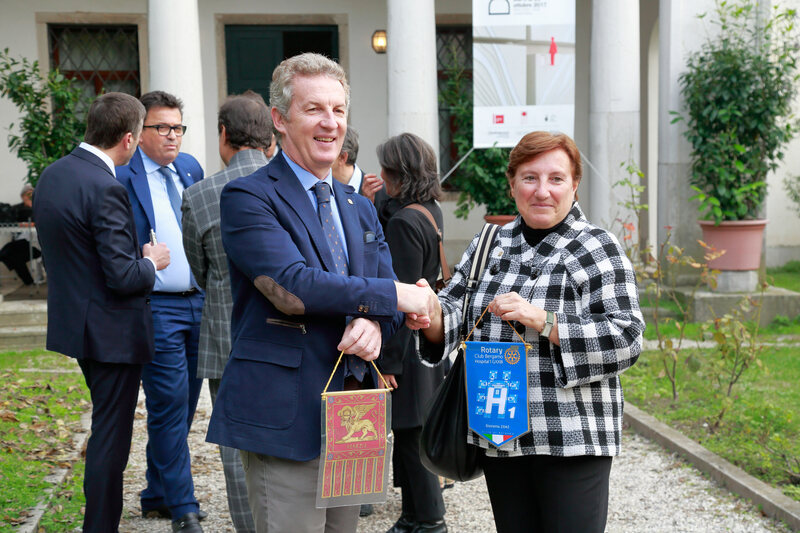 A delegation from the Rotary Club Bergamo Hospital 1 GXXIII meets a delegation from the Rotary Club Venezia. 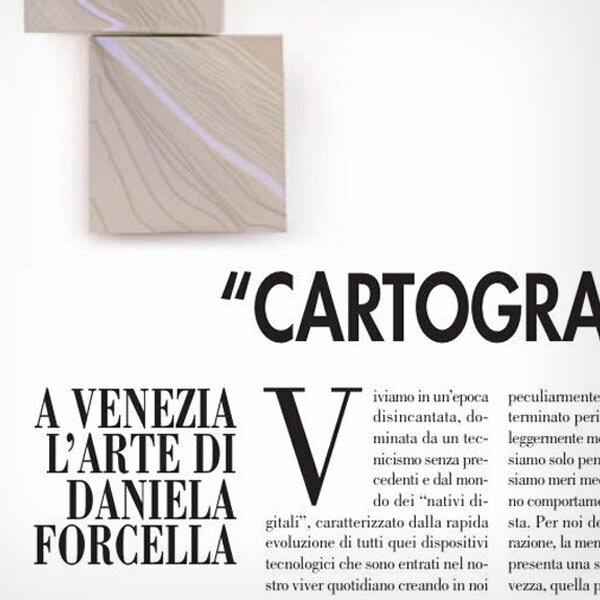 Background of the meeting, the personal "Cartographies" of Daniela Forcella, Milanese artist chosen to inaugurate in 2018 the "Rotary Road" of the ASST Papa Giovanni XXIII hospital structure in Bergamo, exhibition space and project of the RC Bergamo Hospital 1 GXXIII for the enhancement of the pictorial, sculptural and photographic art in the prestigious Lombard hospital complex. The highlight of the event is the concert of Trio Pizzicato (Marina Ferrari and Camilla Finardi with Lombard mandolins, Michele Guadalupi all'arciliuto, members of the Estudiantina Bergamasca and the Orchestra di Mandolini and Guitars of Brescia) with its Baroque repertoire. The event has its pleasant epilogue in a very refined refreshment.